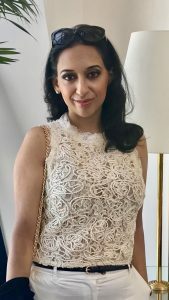 Pam Sanghera of our Family Department was delighted to be involved in the International Family Law Conference held in Dubai earlier this month. Joined by some of the most renowned experts in the field of international family law and practice from all over the world, Pam was keen to share some key points. It is becoming increasingly common for British citizens to take up job opportunities abroad or otherwise decide to settle abroad. Pam advises and represents expatriates from all over the world in relation to English law and proceedings. Listed below are some of the key areas which often arise when dealing with expatriate cases in relation to matrimonial (divorce and financial asset division) and children related matters including child abduction and relocation. The application of Sharia rules differ based on the country in question. The UK have historically struggled with the Sharia principles because they are not recognised by the UK Courts. In UK cases involving children under the Children Act 1989, children are the Court’s paramount consideration. Under the Sharia principles, this is not necessarily the case as the rules are assumed to be in the best interests of the children. Over time, there have been an increase in the number of pre nuptial agreements being entered into. Conflicts in matrimonial law arise where it could be argued that under the Sharia rules, the wife does not always get what the UK Court would deem to be fair and appropriate. For expatriates who have had an Islamic marriage, the question is where to issue and under which applicable law? Foreign (UK) financial orders can be enforced in the UAE if the original Court had jurisdiction to make such an order and it does not conflict with any other orders that the Dubai Courts may have made. In addition, provided the order does not breach public orders or moral, the order is likely to be enforceable. Dubai also benefits from the Dubai International Financial Court (DIFC) which is an independent hub centre which works within the framework. Protocol was signed between the President of the Family Division and the Honourable Chief Justice of Pakistan in consultation with senior members of their respective countries’ judiciaries in January 2003. The essence was to protect the children of the UK and Pakistan from the harmful effects of wrongful removal or retention from one country to the other. Pakistan became the fourth Muslim State in the world and first South Asian Country to become signatory to the Hague Convention on the Civil Aspects of Child Abduction on 22nd December 2016. Pakistan’s Central Authority has been designated within the Solicitor General’s Office at the Ministry of Law, Justice and Human Rights. Pam is one of the few UK based lawyers who deal with expatriate cases on a legal aid basis. Legal aid entirely depends on one’s means and merits of case. Subject to both being satisfied, legal aid is available in relation to advice and representation in respect of UK based proceedings. Pam also offers competitive privately paying rates should legal aid not be available. If you require advice in relation to international family law, please do not hesitate to contact Pam on 0121 704 3311 / Pam@charlesstrachan.com who will be more than happy to assist. Pam is an award winning specialist recognised for her commitment to legal services and her experience in international family law.